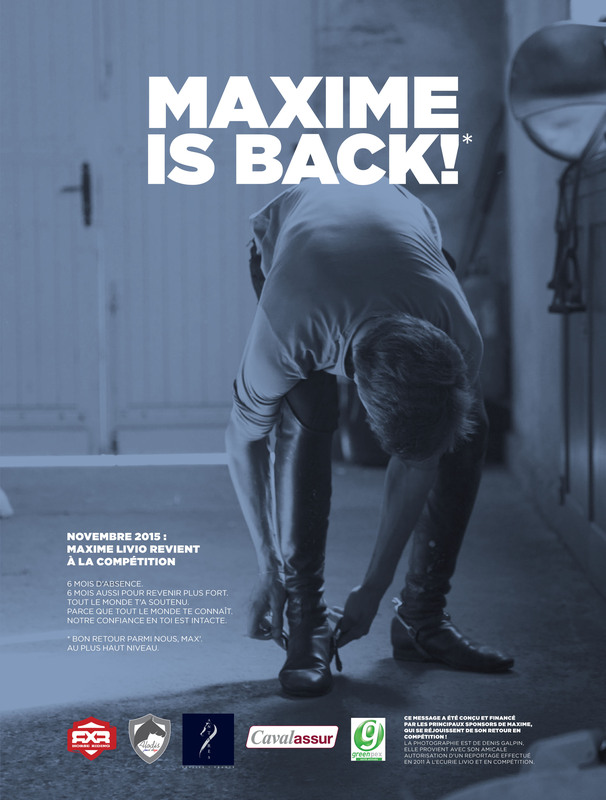 November 2015: after six tough months, Maxime Livio’s sponsors are wishing him welcome back to the competition in a full-page ad. To know more, read the seven page interview with Maxime in the September number of Grand Prix Magazine or check the interview on Horse Actu. Although dated, also the interview on the France Complet homepage in December gave a lot of details on the affair. We join the sponsors in saluting Max’s return to the arena, looking forward to new exploits for this extraordinarily talented and impeccable horseman. Read our feature on Maxime here.